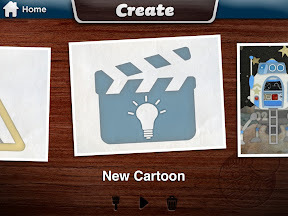 Recently - thanks to some really creative kidlets in my life, I discovered what is becoming one of my all-time favorite iPad apps - Toontastic. 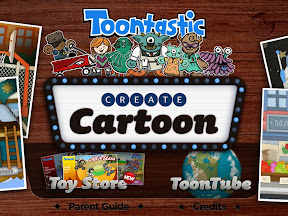 Toontastic is a fun way kids (of all ages) can create their own cartoons. 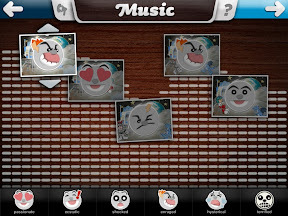 You can pick or create the setting, pick out or create your own characters, animate the characters (while laying down the voice over track for dialogue) and then add the background music. Did I mention it's a free app? That makes it even sweeter! 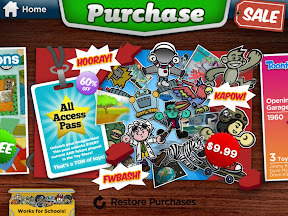 I plan to eventually get the "whole kit and kaboodle" aka the All Access Pass (everything currently available and all future downloads) for $9.99. It looks well worth the price. I used the app in August as an "extra sprinkles" (on the cupcake of life) activity for students taking my tech and more session. The first group of students were given the chance to pick their favorite Bible story and the characters we would need to tell it. Each group, including the first, were then able to add at least one - if not two - scenes to the story. It was fun, crazy and outrageous. The story of David and Goliath suddenly took place on the moon, with a knight (David), a dragon (Goliath) and an astronaut girl (King Saul). 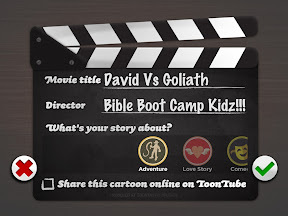 Some of my kiddos who attended the Bibleboot Camp are still talking about making the cartoon. Step 1 - Create A New Cartoon. Step 2 - Create the setting and pick your characters. 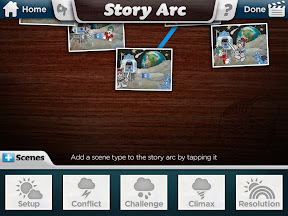 Step 3 - Create the scenes - it defaults to five scenes. 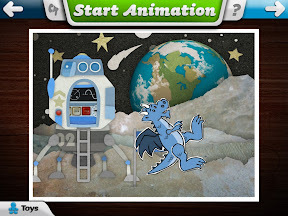 Step 4 - Animate & Create Each Scene - This is where you add the dialogue. Step 5 - Decide the music that you'll use for the scene - setting the "mood." I really love this app. It's creative, fun and enjoyable. I love how it engages students in a new way. This app is definitely a four out of five app. 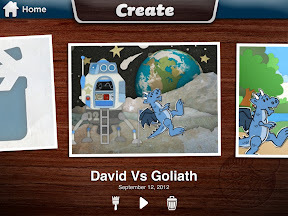 All in all, it's a great app - that could be used both at home, and in a classroom setting. Note: As a children's pastor (and freelance journalist) I often get samples of things for revive - however this review was not influenced by anything free (just in case the FTC cares).